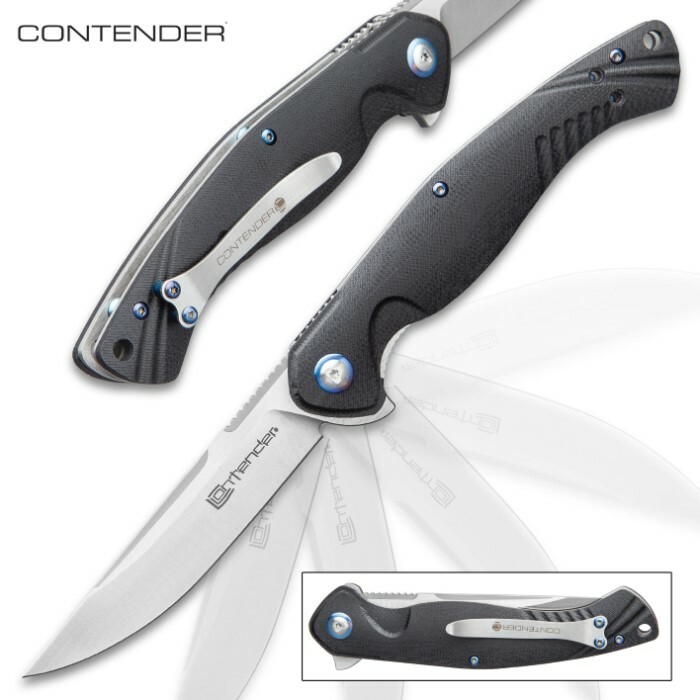 Contender Edge Advanced Ball Bearing Pocket Knife - D2 Tool Steel Blade, G10 Handle, Pocket Clip - Closed Length 5” | BUDK.com - Knives & Swords At The Lowest Prices! 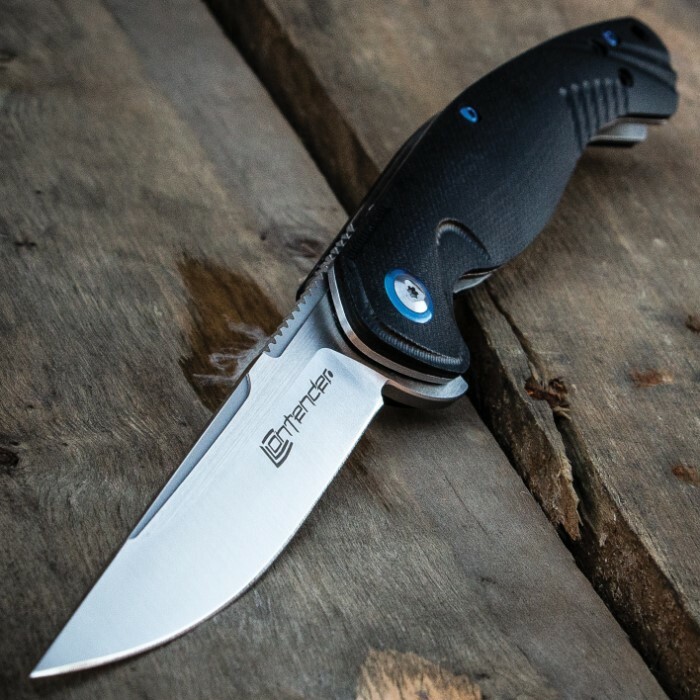 With its cutting edge ball bearing opening mechanism, state-of-the-art materials and innovative design, the Contender Edge Advanced Ball Bearing Pocket Knife performs toe-to-toe with some of the most expensive folders on the market - at a price that's well within reach of the average consumer. 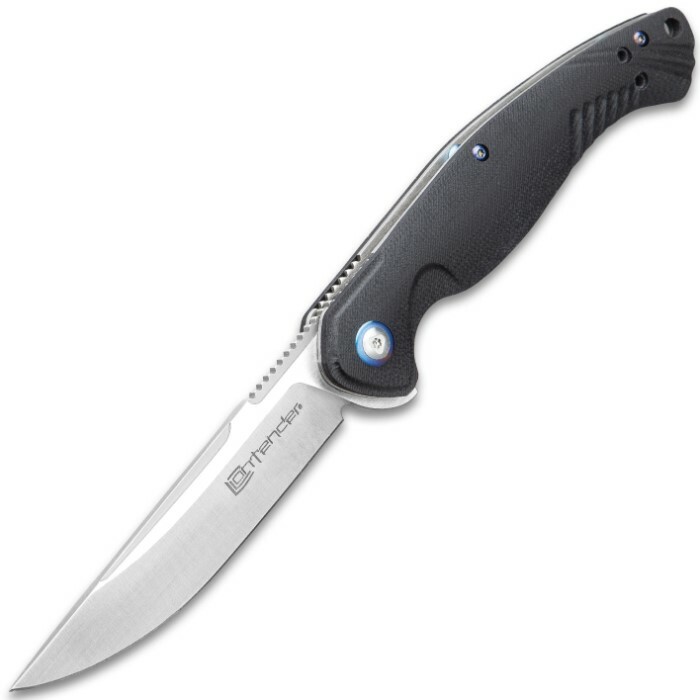 The pocket knife has a razor-sharp, 4” D2 tool steel blade with thumb jimping and a very pronounced, sharp point. Use the convenient flipper to quickly activate the roller ball assisted opening mechanism with complete ease. 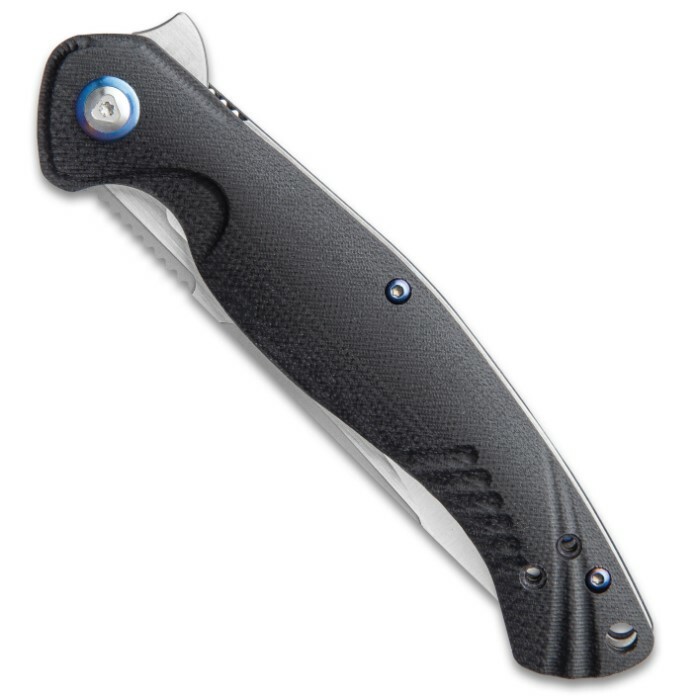 The black G10 handle scales are secured with sturdy screws, which have metallic blue accents, and there is a lanyard hole. 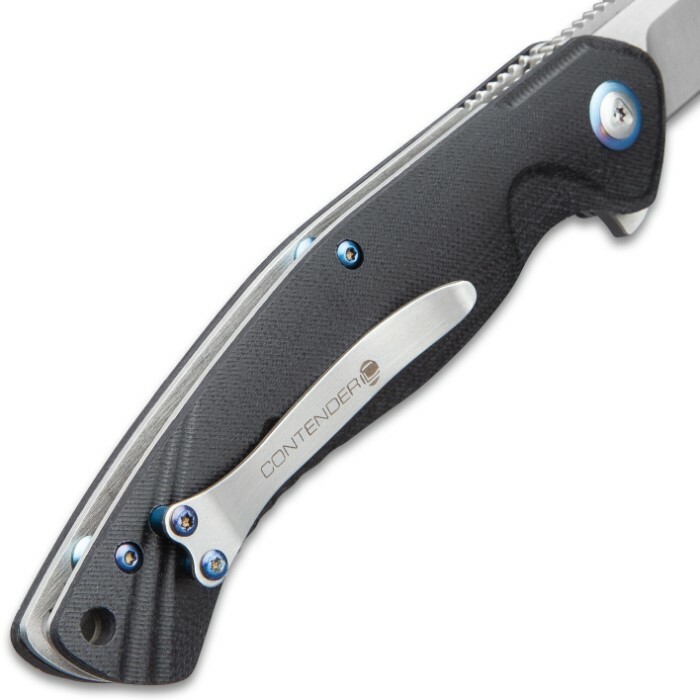 The advanced assisted opening system pocket knife is 5”, when closed, and it has a sturdy pocket clip for ease of carry. Great knife. Smooth operation and premium steel. This is a BIG pocket knife. Pocket clip screws will loosen and tough to tighten. Only drawback to knife.